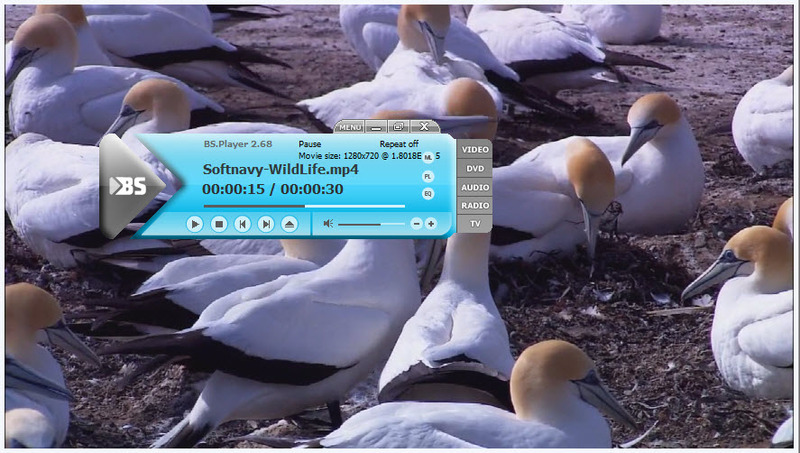 BS Player is a video and audio player with a lightweight interface. The program was and still is very popular, although VLC has rised in the past years. The program doesn't include all codecs, but will ask you to download them at the installation. You should download the missing codecs when will ask you. As a video player, it supports shortcuts to go in full screen, play, pause etc. 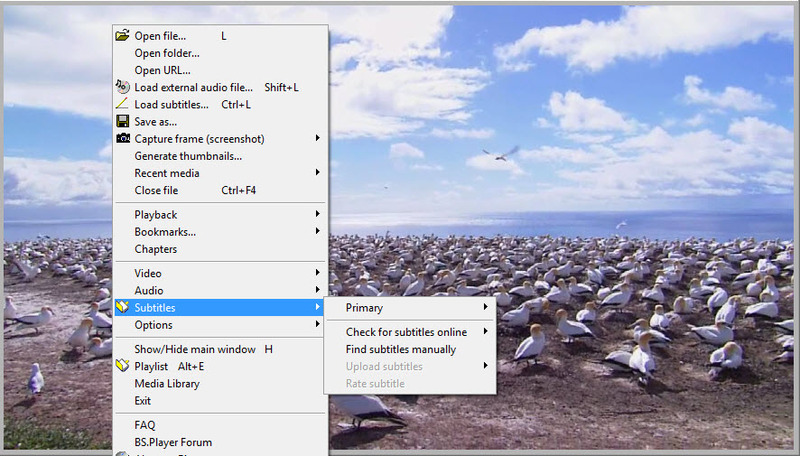 You can load subtitles from hard drive or search on the internet through BSPlayer's interface. Also, you can capture screenshots from a movie, change the aspect ratio (4:3, 16:9 ..) and adjust audio settings through an equalizer (includes built-in presets). BS Player is available as free download for Windows 32-bit and 64-bit.